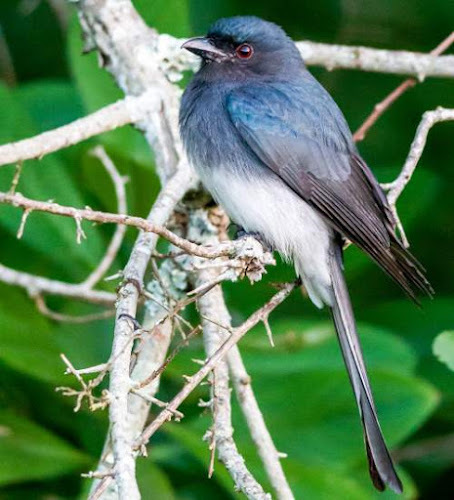 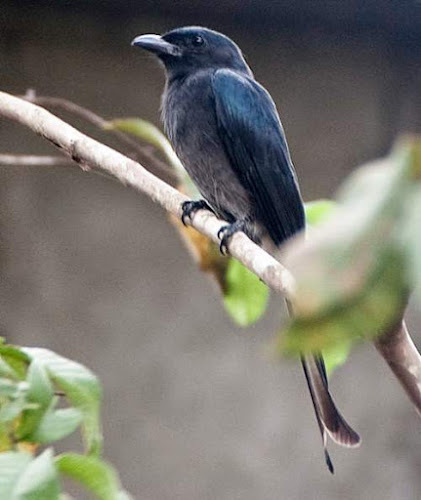 The white-bellied drongo (Dicrurus caerulescens) belongs to the family Dicruridae under the order Passeriformes. 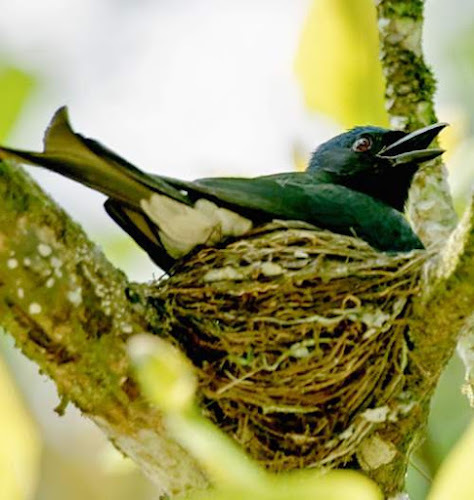 The family Dicruridae was introduced by Nicholas Aylward Vigors (1785 – 26 October 1840), an Irish zoologist and politician, in the year 1825. 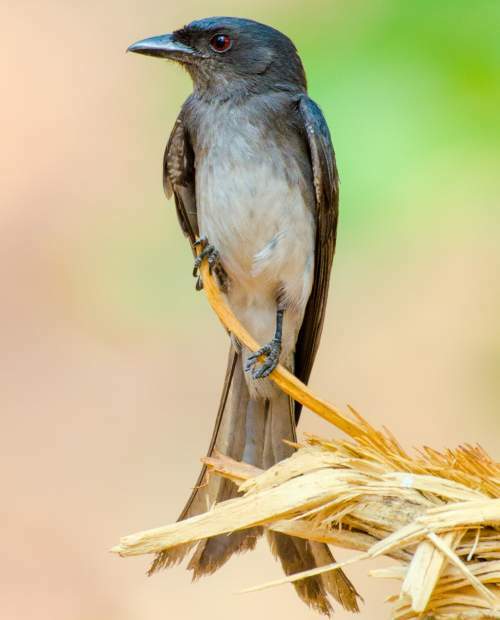 The family Dicruridae is monotypic and comprises the genus Dicrurus only. The genus Dicrurus was first described by Louis Pierre Vieillot (May 10, 1748, Yvetot – August 24, 1830, Sotteville-lès-Rouen), a French ornithologist, in the year 1816. The genus Dicrurus comprises twenty-five species, including Dicrurus caerulescens. The species Dicrurus caerulescens was first described (as Lanius caerulescens) by Carl Linnaeus (23 May 1707 – 10 January 1778), a Swedish botanist, physician and zoologist, in the year 1758. 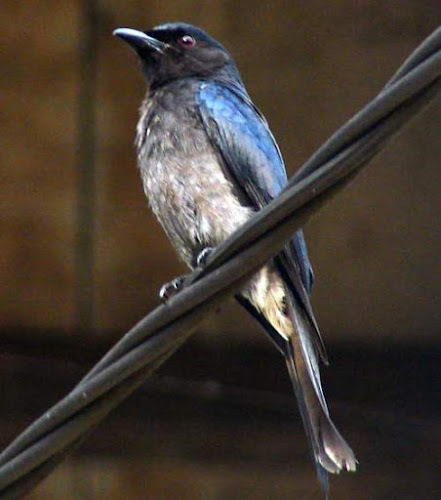 The species Dicrurus caerulescens is polytypic and comprises three subspecies, viz., D. c. caerulescens (India and Nepal), D. c. leucopygialis (Sri Lanka) and D. c. insularis (Sri Lanka). 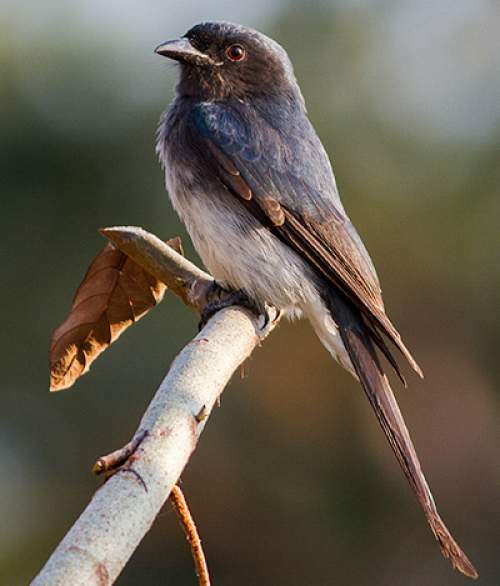 Current topic in Birds of India: White-bellied drongo - Dicrurus caerulescens photos.